The peaceful protests that brought down old rulers and crippling regimes during the revolutions of the Arab Spring a few years ago caught the whole world’s attention. What seemed so impossible to bring to its knees and change in the region became a matter of coming together and uniting peacefully, with a common goal, and with a single voice, but this happened in an unexpected way. The towering task became viable using social media networks to communicate and inform everyone of the truth, plan the next move, the next protest, as the one in Egypt’s Tahrir Square of more than 100,000 people. For these young minds willing to unite and make their voices heard, losing the light of hope was not an option. They all had one thing in common, their eyes fixed on their country and their own future, a better one for all. Some of these movements are still going on in the region right now and the hard work of implementing the changes they wanted to see happen has only started for the most part. What has happened in the last couple of years since the revolutions of the Arab Spring started? What was accomplished? What really changed or stayed the same? What are the people from that region doing now? Is the movement for change that started it all still alive? What direction is it taking now? 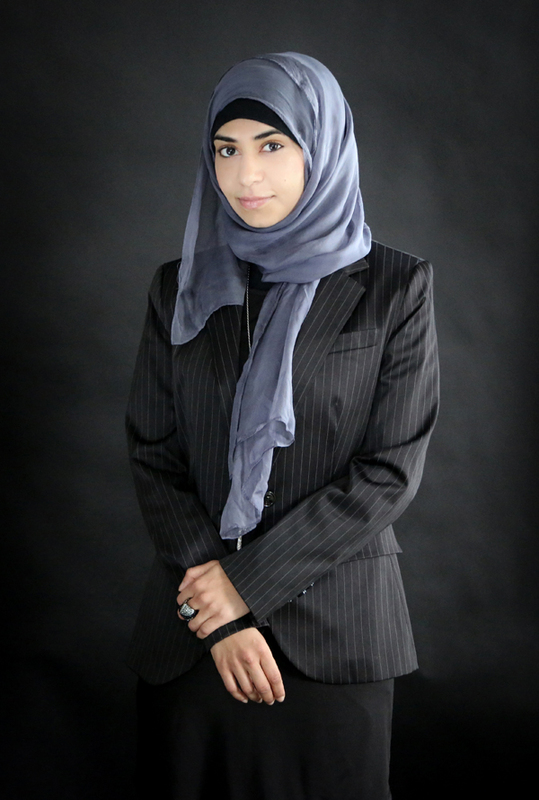 SuperConsciousness had the opportunity to interview Aaida Mamuji, the North America spokesperson for PeaceMidan, a nonprofit organization that envisions a Middle East, post-Arab Spring, beaming with innovation and real development. They are determined they can achieve this through the collaboration of the people facing the challenges themselves, experts who can formulate solutions and initiatives to bring about the changes needed, and global citizens everywhere who care, have ideas, and want to make their voices heard. This organization is bringing the original grassroots movements gathering in the plazas and main squares, collaborating together for change, to the global arena with the help of the internet and a virtual gathering meeting place, PeaceMidan.com. Aaida Mamuji’s words capture the passion that is continuing to drive the movements that many may have thought had faded away: “It’s too easy to fall back into a position of cynicism and despair when governments and political factions seem determined to obstruct positive change … But we can’t stay locked in hopelessness. As people, we must take charge of our own destinies.” It seems the winds of change have not receded and continue to blow strong in the region with rekindled force and renewed vision, but this time, in a way that unites us all and reminds us we are but part of a single family — human! Aaida Mamuji: With respect to my background, I actually have a very diverse one. My mother is from Kenya, of Yemeni origin, and my father is also Kenyan, but of Indian origin. I was born and raised in Kuwait, and while I did live in Kenya at one point, I am now a Canadian citizen. I’m very fortunate that I’m able to travel to many places given that I have family across the world, but also because it’s basically part of my cultural upbringing. My family has encouraged me to explore different countries and cultures, and I guess this gives me the perspective that the world is not such a huge place. There are people who may be very different, but at the core we are all very, very similar. This is actually part of PeaceMidan’s ideology and it got me interested in the organization. The idea behind PeaceMidan is basically that we are all part of this one globe. “Midan” actually means “a square,” so a people’s square. During the Arab Spring, for example, we had the Tahrir Square in Egypt or “Tagheer” Square in Yemen. These squares, traditionally, bring people together, regardless of where you are from, who you are, your age or gender. People come together there and discuss issues that are relevant to everyone. That’s the same thing we have at PeaceMidan. It is a square, but it need not be restricted to any geographical location. PeaceMidan is a square that can bring people from across the world into one setting to meet together and discuss ideas and issues that are relevant to all of us and, together, come up with solutions to certain problems. There is also a great and direct alignment between the mission of PeaceMidan and my educational background. I obtained my Master’s in Globalization Studies at the University of McMaster in Hamilton, Ontario, Canada, and that program itself discusses opinions about the world being a global village, especially with respect to things such as technology, improved transportation and social networking. We are all part of one single unit, at the end of the day, if you look at the world from a bird’s-eye view. We’re all really part of this one universe, together. I’m currently doing my PhD in Public Administration at the University of Ottawa, and my focus is on humanitarian assistance and international development. There’s an alignment there too with PeaceMidan, which is a very unique grassroots organization. SC: Are you the sole founding member of this organization? AM: No. There are two cofounders, Sharif Higazy and Mohamed Abouelsaoud. The founders are actually based in Ottawa. They started the discussion. They thought, “Okay, we’re having all these events that are happening in the Middle East — the Arab Spring has been going on for the past year and a half, two years. There have been protests, a revitalized energy of bringing about change, and a general feeling of no longer remaining silent and saying, ‘I’m going to stand up for my rights’.” They realized, “We are people from that part of the world, from the Middle East, North Africa, from Turkey, but we’re living here in the West. We want to be part of their revolutions, even though we’re geographically far away from them.” And they came up with the idea of PeaceMidan for many different reasons. They approached me to be a spokesperson for the organization because of my background and experience. From the very beginning, I’ve been following PeaceMidan and we have been working together. It actually launched on October 15, 2012 and we’re still a very new organization. SC: You got inspired by all the movements of change that were happening in the Middle East and North Africa, and most of them began as grassroots movements as well. Can you tell us, because we’re all really interested to hear from someone from that region and culture, what is really happening there now after a year or more have passed? AM: That’s a very complex question, because in each of the different countries that you saw revolutions take place, whether in Egypt, Yemen, Tunisia, Libya and right now we have the Syrian ongoing case, there’s still a lot of work that needs to be done. There are political issues and they’re changing all the time. It’s a very complex situation, so I can’t generalize the Arab Spring in one simple answer to a question. But what I can tell you, especially given that I know people in these countries that have been affected and have been in touch with them is this. PeaceMidan has been in touch with individuals who have been protesting, who have been on the ground, and what you see is that there is a spark, a spark of hope that was not there before or was dormant for a very, very long time. People realize that, yes, for those countries where you ousted your president, or ousted your regime, although it was us coming together to make this happen, we have to realize that if this spark of hope dies, it is going to be a problem. The hard work is now; the hard work is the rebuilding. Let’s change this mindset that has been instilled in us for the past decades and really believe that we can give our children the future that they deserve, a better future. The hard work is right now, but what you do see is that there is this revitalized energy. That’s exactly what PeaceMidan is trying to harness to bring about change in that part of the world. 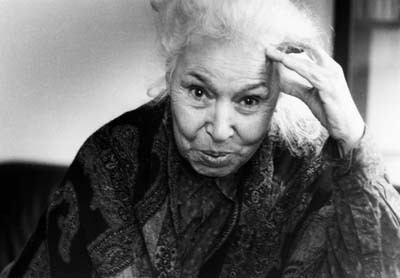 SC: Are you connected to individuals like the renowned outstanding Egyptian lady, Nawal El Saadawi, the “grandmother” of the revolution there, or Wael Ghonim, who was instrumental in convening the initial protest at Tahrir Square in Egypt? AM: We have a wide variety of people who know and are supportive of PeaceMidan across the world. 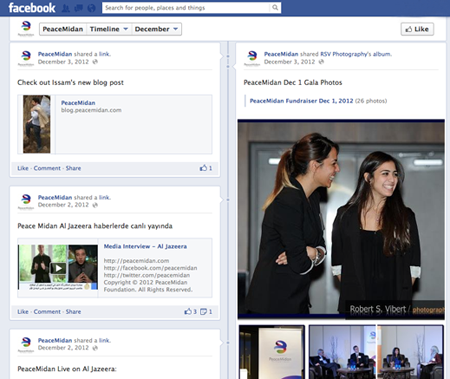 Although we just launched on October 15, 2011, we have over 10,000 likes on Facebook already. We’ve had interviews on Al-Jazeera Arabic, on several TV stations, radio stations in Canada, and online as well. We have a wide network of people who are aware of us and supportive of us, and much of our support base currently comes from Egypt. SC: Did you grow up in a specific religious persuasion? AM: Yes. I am a practicing Muslim. It’s really interesting, although I was born in the Middle East, I didn’t really discover my religion and feel a very strong connection to it until I moved to Canada. I moved to Canada when I was 13. But when I started my undergraduate studies at the University of Toronto, that is where my connection to the Islamic faith grew stronger. SC: Many people here in the West often get the impression that religion, certain groups of people’s interpretation of it, played a role in the suppression of human rights and abuses the youth were fighting against through these peaceful protests and revolutions. Because you are part and understand the faith of Islam and currently live in the West, can you clarify this for us? AM: I feel like this is a very general question, because again if you were to look at the different countries that were part of the Arab Spring, there would be a different answer for each of those. Religion is definitely one aspect of importance when looking at the Arab Spring, but while some regimes may have abused it to oppress, its principles have also been instrumental in the liberations as well. If you were to look at, for example, the Egyptian Revolution, you may see that Mubarak’s regime was actually more secular than religious, and that is what people wanted to change. It wasn’t Islam that he was trying to impose or that was causing the problem. When it comes to PeaceMidan, what we’re saying is that regardless of your religion, whether you’re a Muslim, Christian, Jewish, Atheist — whatever it is — we’re saying that we are all united by the idea that we want change, and we want goodness. Because of this force that unites us, let’s put aside our differences and let’s focus on what brings us together so that we can bring about opportunities for those around us. That is what we mean by PeaceMidan being a square or a meeting place that brings people together and we are not excluding anyone. I can give you my own understanding of Islam and how, for example, as a woman it has really been a source of empowerment for me. I am a proud wearer of the hijab. I have nothing that I’m ashamed of when it comes to the true essence of my faith. When it comes to issues like extremism or people who are using the religion in ways that are improper or to push forth their own agendas, then that is an abuse that they are imposing on the religion. But the religion itself for me as a practicing Muslim is flawless. SC: Have you seen the various religions and churches in the area collaborating to bring forth change as well? AM: Yes, of course, definitely. There are so many examples where we’ve had Coptic Christians, Muslims, and Jewish people all coming together because they want the same thing, which is change and betterment for the future. That has been part of the momentum of the Arab Spring, because when people were protesting, it didn’t really matter who you were, where you were from, or your religious background. The important thing was that you saw something wrong that you wanted to change. PeaceMidan is trying to harness this, to continue this momentum, but on a global scale. So, regardless of where you are in the world, your geographical location, religious background, your ethnic background, or socioeconomic status, if you feel that there is a problem that needs to be addressed, and you have an idea that you want to be heard, then join our organization and we’ll help make that a reality. In fact, with the Internet, we can think of this square as a virtual online one. SC: The spirit of change, the young people getting together and communicating through social networks, sharing their ideas and hopes for their country, that didn’t end with the change of regimes. Are you seeing that that spirit is continuing on? AM: For sure; it has definitely not died. Recently PeaceMidan cosponsored an event with Tawakkul Karman, who is a Nobel Peace Prize laureate from 2011. We invited her to Ottawa, and she was one of the first women on the ground in Yemen protesting, risking her life, sacrificing time that she could be spending with her family, to say, “I am not going to sit silent as this government regime continues to wreck havoc in the country and continue its line of corruption.” We invited her to Ottawa to speak to the youth and to the general public about what inspired her and what keeps her going. She is the one who basically told us, “Listen, when things started happening, it was something that nobody believed could happen. When people were standing for their rights, people who have been silenced for so long, it was an amazing awe inspiring moment.” I think we can’t really understand the significance of that unless we have been living in a regime where we really have our freedoms removed from us. But she said, right now, people realize that unless we continue this, everything that we sacrificed, the lives that have been lost, the amount of time and effort that we put into ousting those regimes will go to waste; so the time is now. And she was very supportive of the idea of PeaceMidan. SC: Can you tell us what is the vision of change you share — is it becoming more like the West? We’re not saying that we know exactly what the main issue is. We’re not saying, “This is the thing that is going to solve all the problems.” We’re not that narrow. We’re actually saying, “Let’s have this global discussion and this dialogue and see what we need to focus on by engaging everyone in this global conversation.” It’s definitely not about emulating any group of people at all. SC: Who are your main financial supporters, where is your funding coming from at the moment? AM: The funding; that’s the one question that everybody likes to ask us: “Oh, you run this organization which is trying to focus on creating change in this part of the world. Really, where is your money coming from?” There’s a big question mark because people are curious. PeaceMidan is solely supported by donations from friends and family of the cofounders. This is how the organization started, and this is how we hope to continue, through donations of people who feel and believe in our vision and our mission. Hopefully as our organization grows we hope to solicit sponsorship from corporations as necessary and as possible, but right now we are running on private contributions and donations. That’s one way to make sure that our organization is not funneled into any particular mindset, and continues to give us the freedom to do exactly what we believe needs to be done. SC: On your Web site, you describe PeaceMidan as a new initiative, a message of hope for humanity, connecting people, giving them a voice to speak about the problems they face and then find practical solutions together. Can you describe your threefold methodology for accomplishing these goals? AM: The threefold methodology is basically how we believe we can accomplish our mission. It’s a holistic model that we feel is necessary for sustainable development. It is a threefold methodology, “Intellectual Engagement”, “Entrepreneurship”, and the last one, “Sustainable Development.” We feel that when it comes to obstacles for change, one of these three things is not adequately addressed or given the necessary attention. In relation to Intellectual Engagement, we believe that there are barriers to communication and understanding one another. While we have global conversations that are ongoing through social media platforms like Facebook, Twitter, and so on, there is a point where nothing much is going on beyond a feel-good emotion and chatter. We may feel good about talking, but there is no actual value added or no actual change that is coming from that. We believe in Intellectual Engagement. If we were to actually engage in a constructive discussion, we would bringing forth the ideas of people on the ground and experts and scholars who are aware of the issues being faced as well, and not just simply talk about it, but use that information and provide it to different sources that will use it. If we are able to do that then we have accomplished our goal. For example, under Intellectual Engagement, PeaceMidan is currently planning an amazing conference to be held in September 2013 in Long Beach, California. We have panels of experts who are going to be addressing real challenges, but we’re not making this like any other conference. We’re asking that people who are in attendance listen to what these panels of experts are saying, and we’re going to open it up and live-stream it online, and give viewers a chance to share their ideas as well. With this really robust interactive platform, we want to use the ideas that come forth to create publications that will be distributed to governments, public administrators, think-tanks, and so on, for them to hear our perspectives. It’s not something that will be simply closed up in Facebook and Twitter. PeaceMidan is trying to create a tangible change and an added value that’s coming forward from this intellectual engagement. When it comes to Social Entrepreneurship, what we’re saying is, “Once you have this global dialogue and have heard not only the views and opinions of people who are experts, but of people who are facing these issues, we really need to have this entrepreneurial spirit to bring about goodness and change.” This is what will cause us to address the real problems that are being faced. 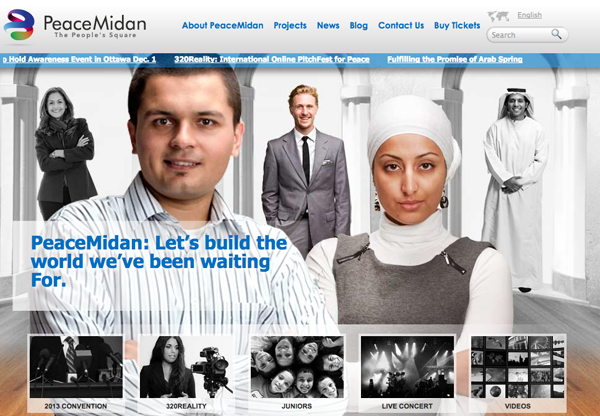 Under social Entrepreneurship, for example, PeaceMidan is having its “320Reality” Campaign. It’s a very exciting campaign. We’ve had a lot of people show a lot of support for it. We feel that after we know what people’s opinions are, we need to make sure it’s going beyond from just speaking to actually doing. 320Reality Campaign is a way of letting anyone who feels like they have an idea to address some challenges, whether in the Middle East, North Africa or Turkey, to share it. We will give you the platform to present it, and we’ll help make that a reality. That’s what 320Reality is about. In the last part of PeaceMidan’s three-part methodology, Sustainable Development, we at PeaceMidan basically have our own idea for how we can improve the potential of small businesses and entrepreneurs in that part of the world. NATA, which stands for North African, Turkish and Arab Products and Services, is basically one of our initiatives. We are creating a very comprehensive database of factories, products and services in that region so that people who are interested — international investors or businesses, people who have ideas for developing certain products — will be able to come to eNATA and find out what resources are available for them in that part of the world. Although there is the ability for great products and services in that region, they’re not able to meet and tap into the global market, and business people just don’t know about them. We want them to meet their full potential by giving them that opportunity. This is what we are doing under Sustainable Development. SC: Does Sustainable development incorporate sustainable and renewable energies and concerns for ecology and the planet? AM: Definitely. Everything that PeaceMidan is doing is certainly looking at the idea that the world, the globe, is our precious home, and that environmental sensitivity and sustainability is of utmost importance. Everything that we do is “Green”, and we are actually hoping to further initiatives and ideas that people have in regards to renewable energies. There are many different initiatives that are happening in the Middle East now that have been gaining a lot of momentum with respect to green energy, and we are definitely in support of those. We’ll be making that known and highlighting them because many people don’t really know that these things are happening and that the region is actually caring about these issues. We hope to highlight them. SC: Can you tell us how the 320Reality Project works and maybe give us examples of some of the videos people have already submitted? AM: We’re very excited about this because what we’re trying to do is create excitement around the idea that anybody, any global citizen can actualize their personal ideas for change. Today you have on TV a lot of reality contests, Reality TV, and what people are doing is basically creating a kind of game for them, a competition, and at the end the prize could be a million dollars and you’re very, very happy. What we have done is create a campaign that’s very similar, 320Reality, using this whole idea of Reality TV, but our ultimate goal is a prize for the public good. With 320Reality, we are giving people a platform, an ecosystem for change, and we’re saying, “We’ll help you make your dream of change come true.” We’ve created a very good platform for doing this — 320reality.com — that enables anybody to upload a three-minute video with an idea that they feel needs to be heard and will create positive change. You can go on our Web site, upload your video, and we then have people starting to engage in a conversation about the ideas that have been raised in the video. Under every video on our website there is an online discussion happening. Once we have that discussion going, we’re hoping that people will start voting. People have already started voting on what they believe is the best idea and what is really needed to move forward. In February 2013, we’re going to have 15 of these videos selected and give the individuals an opportunity to expand on their ideas. Once they do that, we’re going to be selecting six contestants to come and join us in our September 2013 Conference in California and giving them 20 minutes to continue to elaborate on their ideas. With the help of our panel of experts, three people will be selected, and PeaceMidan’s goal is to make sure that their vision for change will be actualized. We have over $35,000 dollars that are going to go forward into actualizing these ideas. We have experts and a global network as well that is going to make sure that this will happen. With 320Reality, we are going from a three-minute video, to a 20-minute presentation, to reality. Shoot, Share and Inspire. What makes PeaceMidan different is the idea that you’re competing for social good, and that we’re not only going to stop at hearing what the idea is. After talking about it, we’re going to make sure that it becomes a reality, and that’s our guarantee. Anybody can vote. It is an online voting system. At 320Reality.com you can look at the videos that have already been uploaded, and we’re really hoping that with time more and more people will submit their ideas for change. Although our focus is a particular region of the world right now, we believe that you don’t have to necessarily be from that part of the world to feel like you have a solution for a particular problem. If you are Tim in Iowa, and you feel that you have an idea for how you can bring about positive change to the lives of Fatima and Mohamad Tunisia, then we want you to share it and for the world to hear it. We want people in both regions of the world to engage in a conversation around these ideas that have been generated; that’s our vision. That’s what we mean by a Peace Square — PeaceMidan — a square that is really bringing anyone together who’s interested, regardless of where they are in the world. SC: I loved some of your statements quoted on PeaceMidan’s Web site. You say that, “It’s too easy to fall back into a position of cynicism and despair when governments and political factions seem determined to obstruct positive change … We can’t stay locked in hopelessness. As people, we must take charge of our own destinies.” Then you say, in a great spirited way, “For humanity’s sake, it’s time to get creative.” Can you elaborate a bit on those ideas? If you were to look at some of the videos that have been uploaded, we have one submission that’s saying, “Although in many parts of the world you really do have a lot of rights for people with disabilities and accessibility problems, in the Middle East you really have a lack of this.” There isn’t really a culture around upholding the rights of people with disabilities or making sure that these countries are accessible for them. Even regular things, such as stairs in everyplace you want to go if you’re in a wheelchair, are not guaranteed. If you don’t have those simple accessibility initiatives, then you really are excluding a whole portion of the population from being part of society. The video basically presents an initiative to encourage businesses, corporations and government institutions in Egypt to actually bring people with disabilities forward into the workforce. This is not implemented or part of the culture currently in the Middle East. This video has received some of the highest votes. If this video gets selected and invited to the Conference in California to be pitched there, the panel of experts will decide whether the ideas are feasible, and we will try as best as possible to make sure that this vision is actualized. That is a creative solution for an issue that’s being faced. We also have another video submission which talks about harnessing the potential of film production and short films in order to highlight issues that are being faced in that part of the world, but also to inspire and give hope to people who may feel like they have been robbed of their rights. Through film and media you can really spark something positive for individuals. That’s another very creative solution. We really feel that the arts and culture are something that can unify us all in a very unique way. It can help us stop “othering” one another. If you use film to really understand people not as “the other,” it really breaks away a lot of the barriers that we currently have and begin to see how similar we really are. These are the types of ideas that people have been pitching so far, and we’re hoping that with time more and more amazing ideas will come forward. We’re really excited about taking those and creating goodness for the world through them. SC: I found it interesting that at the conference you’re having in California you’re also inviting the youth and having a platform for younger minds to come, get involved, participate in creating solutions for change and have their voices heard as well. AM: We really feel that is where it starts, when you’re really young. For me, for example, it was part of my family upbringing and also the idea of volunteerism that is really pushed in the Canadian public education system. Our “Sparks of Hope” Program is basically about harnessing this budding entrepreneurial spirit in our youth, aged 9 to 15. We’re inviting our juniors to come forward, and we’re creating a parallel program to 320Reality, called 320Juniors. Juniors can pitch their ideas and we’ll provide them with leadership and training and development for them at the venue. We’re hoping that people will be able to see that our 2013 conference is not for any specific type of person, but rather that we have something for everyone. SC: It’s a wonderful vision and wonderful work that you’re taking on. Is there anything else you would like to say to conclude our interview?